Stack parking, pictured atop the Quad Parking Structure, is back in two locations for the 2017-18 academic year..
A vanpool information meeting is scheduled for next week — just as stack parking starts up again. Stack parking — It resumes Monday (Sept. 25) in the Quad Parking Structure and Lot 47 (off La Rue Road near the Tercero residence halls) and will continue all this academic year, according to Transportation Services (TAPS). The system allows an additional 120 cars in the garage and 100 more in Lot 47, by directing drivers to park in the aisles after all the regular spaces are filled. You leave your keys with an attendant, who may move your car throughout the day as other drivers need to leave. There is no additional charge for stack parking. Transportation Services is using stack parking while exploring strategies to avoid the very expensive cost of building another parking structure. Stack parking hours are 8 a.m. to 6 p.m. Monday through Friday. If you return after 6 p.m., you can get your keys from a TAPS employee in the Quad Parking Structure entry kiosk (off Dairy Road) until 9:30 p.m. Miss that deadline and you’ll have to pick up your keys in the morning from an attendant where you originally parked. TAPS suggests bringing a spare set of keys if you know you’ll be returning to your car after 9:30. More information is available on the TAPS website. Vanpool — The information meeting is for people interested in vanpooling from Natomas. Kawami Evans, interim associate director of the Center for African Diaspora Student Success, is the organizer, and she is working with the North Natomas Transportation Management Agency. The meeting is scheduled from noon to 1 p.m. Thursday, Sept. 28, at the Center for African Diaspora Student Success, 270 South Silo. A light lunch will be provided. Evans said the purpose of the meeting is to gauge how many people would be willing to be part of a Natomas vanpool, and to discuss its hours. A meeting flier touts vanpooling as a better, more environmentally friendly way to get to work, while cutting your commute stress and gas costs. UC Davis has only two vanpools operating at this time: The El Cerrito “Poolbusters” van, on campus 9 a.m.-5 p.m., and the Placer County van, starting from Newcastle. Both have full- and part-time and casual seats available. More information on vanpooling is available online. We can finally tell you that Hillary Clinton is bringing her book tour to UC Davis, on Monday, Oct. 9. The Mondavi Center for the Performing Arts launched the presale at noon last Friday, giving first shot to donors and subscribers, as well as faculty, staff and students, and planned to open the event to the general public on Sept. 21. But, guess what? Jackson Hall reached capacity within 4½ hours Friday, marking the Mondavi Center’s first sellout during presale, said Rob Tocalino, marketing director. “Ticket availability may change as the event date approaches, but demand remains very high,” the Mondavi Center states on the Hillary Clinton event page. Some tickets may be returned or canceled, Tocalino said, but he does not expect there will be very many. Thus, the Mondavi Center has no waiting list for this event. However, people are welcome to check the event page or call the ticket office, 530-754-2787, to inquire about availability. 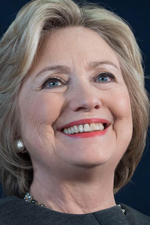 Tickets cost $50 to $250 ($25 for students), and every paid admission includes a copy of Clinton’s book, What Happened, about her failed run for the presidency in 2016. All staff are welcome to Staff Assembly’s next general membership meetings, Tuesday, Sept. 26. General membership meetings are held from noon to 1 p.m. the fourth Tuesday of every month (exception: no meeting in December) in 2005 Plant and Environmental Sciences Building. UC Davis is introducing a medical amnesty protocol to encourage students to call for medical help in an emergency related to alcohol or drugs. Under Aggies Act, neither a student calling for medical help nor a student receiving it would be subject to the university’s formal student conduct processes if certain conditions are met. The new protocol, in some places called a 911 good Samaritan policy, is part of a trend at colleges toward safeguarding instead of punishing students who misuse alcohol or drugs. And, at UC Davis, it builds on recent efforts that encourage students to care for their peers in critical moments. The protocol becomes effective Monday (Sept. 25), the first day of the fall quarter.